It bears repeating that marijuana is still illegal as a Schedule I drug under the Federal Controlled Substances Act. Even though Oregon and other states have approved marijuana for medicinal and recreational use, the federal government doesn't recognize such uses as valid and prohibits the manufacture, sale, and distribution of marijuana. An owner who leases to a tenant for the purpose of manufacturing, distributing, or storing controlled substances, illegal under federal law, is punishable under the Controlled Substances Act by a fine and up to 20 years in prison. That might be the end of the story for all but the most foolhardy of landlords if it weren't for the fact that the federal government (inundated with questions because of the number of states that have legalized some form of marijuana sales under state law) has now provided guidance with respect to its enforcement priorities concerning marijuana violations. The first of the guidance letters was issued by the U.S. Department of Justice in August 2013 to the U.S. Attorneys' Office. It cited the Department's priorities as preventing: 1) distribution to minors; 2) revenue from marijuana sales from going to criminal organizations; 3) diversion of marijuana from states where it is legal in some form to other states; 4) marijuana activity (legally authorized in a state) being used as a front for the trafficking of other illegal drugs or other illegal activity; 5) violence in the cultivation and distribution of marijuana; 6) driving under the influence and exacerbation of other adverse public health consequences associated with marijuana use; 7) growing of marijuana on public lands; 8) and possession or use of marijuana on federal property. A second set of guidance letters from the U.S. Department of Justice and the U.S. Department of Treasury's Financial Crimes Enforcement Network, simultaneously issued on February 14, 2014, focused on acceptance of bank deposits from marijuana-related businesses. While agricultural landlords may determine that these guidance letters provide some comfort as to whether or not they might risk prosecution for leasing to a specific marijuana grower, it is important to note that the guidance is non-binding and does not have the force and effect of law or regulation. As such, it is subject to change at any time. This is especially true as we approach another presidential election cycle, following which a new administration could determine to take a different path with respect to marijuana prosecutions. Additionally, even after the guidance letters, there have been instances where the U.S. Department of Justice has sought to take real property used in connection with marijuana-related crimes of tenants through civil forfeiture. Further, given that the guidance does not grant immunity from prosecution or civil penalties to banks who serve legal marijuana businesses, most financial institutions are reticent to open accounts for marijuana-related businesses and have significant concerns about their duties to report certain transactions under federal money laundering statutes. For landlords who determine that the potential revenues are too great to pass up and their risks associated with federal prosecution or civil forfeiture are immaterial, there are still other concerns. A landlord may find that a conservative financial institution could refuse to accept deposits of funds related to a marijuana grow operation lease. Also, if the landlord has a loan from a financial institution, the landlord may find itself in breach of that loan without available replacement financing. Most loan agreements prohibit the debtor from violating law, and if the loan was entered into more recently, there may be express prohibitions against use of the property with respect to state-licensed marijuana-related businesses. Thus, a financial institution could call a loan due from a landlord renting to a marijuana grow operation. If there is an opportunity for replacement financing, the loan amount may be reduced (if the financial institution excludes rents from the marijuana-growing tenant when calculating the value of the collateral or the revenues of the landlord). Oregon and Colorado federal bankruptcy courts have come to the conclusion that bankruptcy protections are not available to a landlord leasing to a marijuana business, even if the tenant's marijuana business is operated in compliance with state law. Federal bankruptcy courts in other states may come to the same conclusion. Some of this risk can be mitigated with proper planning, but there would always be some portion of the landlord's business operation that would remain at risk. Aside from the issues concerning federal law, a landlord could find itself at risk of violating state law if its tenant is not in compliance with state and local regulations. Although recreational marijuana use is legal in Oregon, effective July 1, 2015, Oregon will not start licensing recreational grow operations until January 2016, and the Oregon Liquor Control Commission has until January 1, 2016, to adopt regulations for marijuana grow operations and begin accepting applications for licenses. Presently, only medical marijuana grow operations are legal under state law, which grow operations can only operate on a not-for-profit basis and are expressly limited to 6 mature plants and 18 seedlings or starts. Despite the federal guidance, unless and until the Controlled Substances Act is changed to permit the state-legalized marijuana activities, landlords should be wary of leasing to marijuana grow operations and should consider the other risks and potential obligations of having such a tenant. 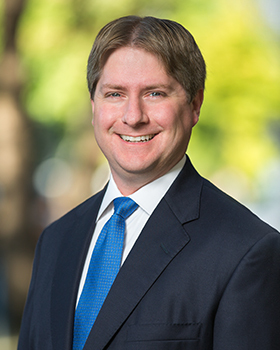 Victor J. Roehm is a partner in Sussman Shank's business group with more than 10 years of experience in finance, real estate and corporate transactional work. Contact him at 503-227-1111 or vroehm@sussmanshank.com.